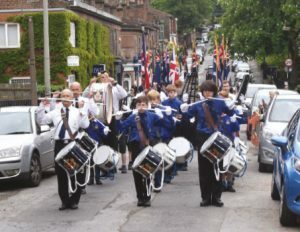 The 2016-2017 session was filled with many special events to mark the 125th Anniversary of The Boys’ Brigade in Liverpool. Throughout the year the Battalion raised funds for four designated charities including Alder Hey Children’s Hospital, Zoe’s Place Children’s Hospice, The Oliver King Foundation and the Battalion, raising over £2000. Special events took place throughout the year including a Carol Service, hosting the National Table Tennis final (with awards being presented by Lord Derby and Sir Ken Dodd), a Long Service Award Service (held every 5 years to honour leaders within our Battalion) and a Parade Service with over 300 in attendance. The year concluded with a charity Gala Dinner held at the Liner Hotel in Liverpool, which was attended by officers and friends alike, with the Lord Mayor of Liverpool in attendance.